one of my daily activities lately has been reflecting on who i am and what my "value add" is to the world. what gives me purpose? what enables me to serve humanity in a way that is fulfilling for me and that is healing for the world? while sharing a coffee with a new friend one day, she wrote in a book that i was buying from her, that i was a "lodestar." i hadn't ever come across the word before, so i quickly typed it into my google search box to find that a lodestar is "one who serves as an inspiration or guide." wow. that is exactly who i am in the lives of others. it warmed my heart to be affirmed by the universe. i had the great fortune last month of participating in a health & wellness panel organized by my dear friend, monique ross. monique and i met while i was building the yoga program at union market a few years ago, we have been helping each other grow ever since. her vision was to create an afternoon of fellowship for women featuring personal stories shared by kyla thompson, milan jordan, and myself. these stories were about our personal struggles, what its like to build a business, and what our blackness means to us in every day life. it moved me beyond words and showed me how much work we have yet to do in illuminating and embracing the black womans experience in america. as some of you know, i founded mindful movement yoga school a few years ago. mindful movement is a yoga alliance registered school influencing the next wave of teachers, one trainee at a time. mindful movement was born out of a desire to fill the gaps in teacher trainings offered and also to co-create with the trainee and other faculty how one would like to experience their teaching. it takes at least one year for someone to complete our yoga teacher training, its quite unique and a program that i am very proud to be a part of. i am happy to announce carol richardson has joined the faculty. carol is a mystic healer and intuitive coach who is on a mission to empowering you to access your own best inner guidance. she adds so much value to the teacher training, i am thrilled to have her! we are now accepting one student for training beginning in the fall, send me a note to learn more! the fellowship last month has inspired me to start a bi-weekly practice for women in my home studio called #fellowshipflow - this practice will be limited to 10 women, coffee and dialogue to follow. you can sign up for the the may practice here. we have 2 spots open now for the women's yoga retreat to ethiopia - it is just a mere 6 months away! send me a note, if you would like to read our plans and decide to join us! i hope you are doing well and that this note finds you in great spirits. the weather is finally warming up, trees blooming, i know you are blooming, too. sending you love and grace in abundance! i recently found myself in northern maine, stuck on an icy road, hysterically awaiting the arrival of road-side assistance. i was on my way to a 1:30pm appointment at the maine state prison to visit my younger brother, when upon the instruction of google maps, i wound up on an icy road, unable to get myself out of there. i cannot explain in words alone the state of panic i was in, not because i was stranded for what became 2 hours, but because i knew i would miss the visit with my brother that i had flown 2 hours and driven another hour and half for. in my moment of deep sadness and inconsolable sobbing, it dawned on me that i was not crying for the fact that i was helpless, but because i was more devoted to my brother than to my own safety and well-being. the light that entered my consciousness while in that moment revealed to me a tremendous level of devotion and love i have for my brother, it was also an opportunity to realize how many times i have put others ahead of my own safety and well-being. it caused me to go down the rabbit hole of questioning when exactly this conditioning began? and of course, where all answers lie are in childhood. i grew up as the eldest of six. my parents worked opposite shifts, my father in the morning and my mother in the evening, effectively rendering me the mother in her absence. i cooked the meals, i helped with the homework, for all intents and purposes, i raised my siblings. this is where my sense of obligation comes from, the continuous messaging i received growing up that i come last. as i write this, i am grateful for the day i was stuck in the car, helpless, stranded, sobbing … it showed me where a part of me still believes and thinks i rank in the order of importance. the way the universe teaches us where we need to heal and what we need to learn is not always the most graceful. i mean, did i really need to be stuck on an ice road in the woods of maine to see this? i am committed to using my own healing to help heal others. if it moves you to meet for coffee, to drop me a note, and share some of what you struggle with and what you are learning, please know it is my honor to hold space for you. it is important you know that you are not alone. we have 2 slots left for the women’s yoga retreat to ethiopia. i am happy to send you our itinerary so that you may decide if you would like to join us. there are 10 fantastic women coming, i am so looking forward to all of you meeting one another! may all burdens you carry that are not yours be removed from you and returned to the rightful owners already healed. i hope that the last 16 days of 2019 have been insightful for you! this year is going to be different, i can feel it in my bones! it is going to be the year we experience life in a softer way. in a way we did not in 2018, and in a way we can yield to what the year asks of us without fear or shame. 2018 was BIG for me! i saw and served in ways i did not realize i was capable. i took major risks and i pushed hard toward what i believed in. this year, i have but one intention; BLOOM. if my actions, deeds, and words, do not feed my intention, i will not pour any energy into them. in 2018, i learned the true value of each of my relationships, as well as my role in them. and perhaps most important, i learned that on the other side of fear is grace. amidst a new calendar year, an opportunity to start over, i invite you to set just one intention. here is to your becoming, to your blooming wherever you are planted, to your trajectory, with abundance on your side, and to a new year filled with endless possibilities! as you sit and reflect on 2018, ask yourself, was it a year of questions or answers? also, ask what 2019 wants for you? 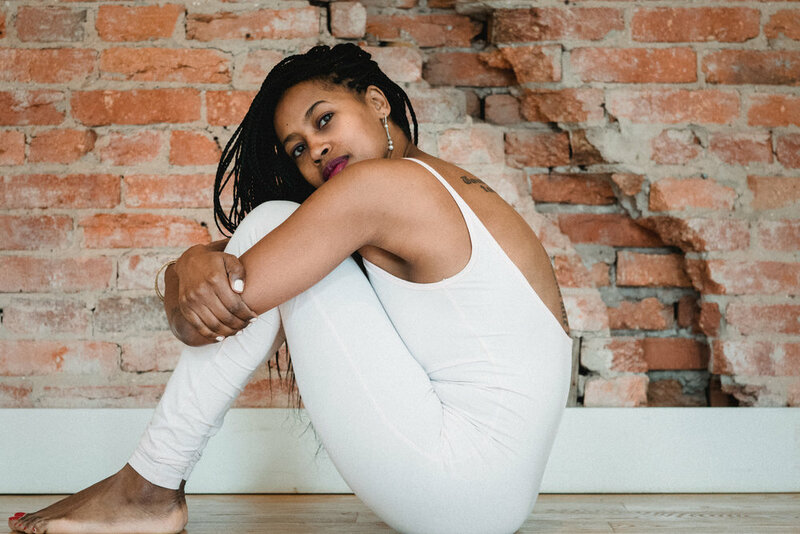 part of my blooming this year is undertaking an advanced yoga teacher training at bethel farm -- i am so ready to learn how better to serve through my teaching. i have been following bethel farm for years, and delighted to grow through their training. PS: the women’s yoga retreat to Ethiopia has only 4 slots left! curious what the plan is? send me a note to make your $500 deposit and i will send you our plans in print! i want to support you where you need it the most! it has been a bit of a whirlwind this month as i have been on more planes in the last 30 days than any other time this year. it has been the month of spending nights in hotel beds, taking multiple planes around ethiopia, traveling to places unknown, and discovering the adaptability and resilience of my ancestors within my own soul. i spent the first 2 weeks of november traveling between addis ababa, bahir dar, and gonder, utterly amazed at the ethiopian people and their history. for the first time, i understood instantly where my pride comes from. four days after my return from ethiopia, still in the grips of jet-lag, i was on another plane to celebrate the life of my partner’s grandfather who transitioned after 110 years on earth. i know the popular saying is, “life is short…” it certainly was not for grandpa francis. he led a joyful, adventurous, and long life. may we all be just as fortunate. inspired by my practice, my passion for travel, and for the magical place that is ethiopia, i am thrilled to announce that next fall, november 3-13, 2019, i will be leading an all women yoga retreat to visit addis ababa, lalibela, and gonder. each day will begin with journaling + meditation, an organic breakfast, followed by curated daily experiences of ethiopia's historical sites and deep culture. i am so excited for what will be an amazing journey. the cost of the retreat is $3,450 for single occupancy, and $3,200 for double occupancy. the retreat price includes airport pickup/drop-off, all meals, all excursions, and private transportation. there are only 12 slots available! send me a note to make your $500 deposit, more details of the trip to come! as we approach the last month in 2018, i hope you make time to sit and reflect on all this year has taught you about your unique presence in this world and your capacity to be more. when i began teaching yoga 6 years ago, i had not anticipated how much it would change my life, how much the practice would help me guide others to enhance their life, and really serve as my lighthouse. recently, i have found myself either with my students, or with friends, in a deep space of gratitude for this practice. i am beginning to notice in others, soft spaces, where the person is aware and present with their lot in life in a very compassionate and open way. allowing ourselves the space to be soft and vulnerable is what this whole life is about, the more we allow ourselves, the more we will allow others. last weekend, i graduated my first student from the mindful movement school of yoga private teacher training program. i founded mindful movement last year in an effort to create a structure that influences and supports the next wave of teachers, one teacher at a time. it took us one year, and at least 200 hours to arrive at the end of our journey, but we did it! when we can take something that has deeply impacted our life for the better and offer it to others, we are consciously creating a vibration that heals all those with whom we come into contact. in a few weeks, i am headed back to ethiopia for my annual visit. to give back through the practice, myself, core72, and wydler brothers real estate are putting together 4 free yoga classes to benefit orphanages in ethiopia on october 21 and october 28, 2018. we are requesting donations in the form of children’s clothing that can be worn year round that are gently used or new. you can sign up here for classes at cathedral commons and here for classes in chevy chase. space for yoga is very, very, limited. making your unique impact on the world doesn’t have to be a daunting task, it can be something small that you do each day. your good deed will then inspire the person whom you’ve just touched to pay it forward, thereby creating a ripple effect of goodness in our world. my life has been touched by each of you, let’s keep spreading the light! is it really september already? i don’t know about you, but once it hits labor day, i start planning out 2019! my summer was full and rewarding with travel in and out of the country and lots of lazy days sunbathing. while i am in disbelief that summer is over, i am overjoyed for fall, it is my favorite season! keep a pulse on my notes the next few months for some awesome yoga collaborations in the city. fall is a great time to fall-back-in-love with your yoga. i want to hear all about your summer, drop me a note, and lets grab something warm to drink and go for a long walk. while your kids are going back to school, and your friends are trying to schedule you for coffee, lunch, or dinner. while the whole of washington seems like its getting ready to come back in full swing, contemplate on what you can give to those you encounter without draining your own supply of energy. here is a suggestion of 10 things you can give this fall…start with yourself, then your partner, your children, friends, and the rest of the world. effort — go the extra mile! i am here to support you in your practice and anything you need. my instruction is transmitted one-one-one to maximize your energy, goals, and most importantly, your time. i am wishing you a beautiful september day filled with endless possibilities. after years of therapy, i have come to learn and realize that the language of love is composed of a four part harmony. the acronym for this harmony is RSHV — respected, seen, heard, and valued. every relationship is contingent upon the synchronization of this harmony. when a note falls, it isn’t without compromising at least one persons needs in the process, leading to conflict and distress. however, when all persons in a given relationship experience an exchange of all four harmonies, the result is love in its highest vibration. an affirmation that we are respected, we are seen, we are heard, and we are valued. it is for us as individuals to decide what a healthy, loving, and supportive relationship looks like. what we need to feel respected, seen, heard, valued and how we can consciously choose to engage in relationships that aim to strike this four part harmony. next time you are in disagreement with someone, ask yourself if one of these four notes is missing and you will get to the root of the conflict much sooner. as i learn what my needs are and how best to articulate them, it has become increasingly important to observe how i show up in my relationships. what messages i am transmitting by my actions, words, or lack thereof. it is a long time habit of mine to over give largely due to the fact that i never learned moderation when it comes to love. i have always been an all or nothing person because a lot of my primary experiences gave me just those two options. my brain is conditioned to believe in zero percent or one hundred percent and so my heart learned to give in the same manner. i am still learning how to move the lever in values other than all or nothing. i don’t anticipate that we will all wake up tomorrow and become people who have conscious relationships built on RSHV, i do however anticipate that we will wake up and try. and the next day, try again. every day, patiently working toward being the best version of who we know we can be and what we know this world can become with our contribution to doing the work. my yoga practice has returned to the space where it began, at home. my teaching has followed suit, leading classes solely through private instruction. my schedule for fall has a few slots open, send me a note to discuss your needs and how this practice can serve you. i am so proud of you for doing the work. and know, at the moment that you read this, i respect you, i see you, i hear you, and i value you. i am fascinated by how much our environment particularly as young people shapes who we become in our adult lives. when i look back at high school, i cannot recall being concerned with much beyond my grades and sports. high school was not what i would consider “enriching” and while we contemplated a bit, it certainly was not about seeing the light in everyone or shining the light for others to see themselves and the world more clearly. it has taken years of individual work to understand that there is light in us all, it has always been there, and always will guide our way. what if we taught our children from birth to see their light and to recognize that light in others? what if we held the light for each other when we had trouble seeing? what if we entered every relationship with the intention to mind the light? my heart is overfilled with hope just contemplating such a world. so no one can wreck near you. that is the one thing in life you have to do. every distance will be safe. i challenge you today to be the lighthouse. just the other day, as i was cueing up my first of the month to do list, i paused and glanced at my name on a pepco bill. Nesanet N Alemayhu, followed by my address, Washington, DC 20016. it was a strange sensation. i don’t think i had ever looked at my name on a document and paused before. i thought, who is this Nesanet N Alemayhu? what has she become over the years? and is her external personality, the one that people receive, the same as what she feels inside? last week, i spent a few days in portland, maine and boston, massachusetts visiting family and friends. it had been some time since i was in boston, the place where i feel like i did a whole lot of growing up. i actually experienced a deep longing, likely because i was sitting right outside the boston commons, on a glorious sunny day, wondering if i could in fact live there again. Nesanet Alemayhu was a young college student in those days, running around between fenway park and the south end, certainly not visualizing a future in Washington, DC. the mystery of life is so mysterious! when i lived in boston, my immediate concerns were about my classes, my girlfriends at simmons, baseball games i did not want to miss, and maybe a few other things. when i look back today, i think, if that girl only knew where her life would go. if we knew with certainty what would come next, would we be more open? i find myself in constant awe of this universe, what my life has become, the experiences i have had, and those that are headed for me now. wherever you are reading this today, i hope you find comfort in knowing that there is so much more to come! practice continues with me on saturdays, 10:30-11:45 am at fuse. a 75 minute opportunity to move contemplatively from space to space and allowing those small journeys into yourself to serve as guidance for leading a conscious life. happy may, i am excited for all the places you will go! i found this quote on a package that splendid spoon sent recently and i find myself returning to it multiple times throughout a given week. currently, it is on my vision board. i have spent a considerable amount of time ruminating on the behavioral characteristics of fear. what it smells like, tastes like, and feels like at the time that it has taken up residence in my mind. with all the transitions in my life lately, i have found it difficult to tune out, or rather, tune in to what fear is trying to communicate to me. a lot of my anxiety and impatience is stemming from life asking me to bend and stretch in ways i never have before. buying a car, navigating the valleys of a new career, entering a new portal in my relationships, it all seems so overwhelming! and then i read, "with the exercise of self-trust, new powers shall appear." is that what it takes? trusting myself? that and being open to the lessons. i think part of the challenge is that i see fear as an enemy rather than an ally. despite how mean it may sound sometimes, ultimately, fear is a motivator that has the intention of keeping us focused on the path, even if it doesn’t feel that way. are there areas in your life in which you are being asked to stretch in new ways? how can you remember to pause and trust in yourself? saturday morning practice from 10:30-11:45 takes place at fuse in foxhall. come, move, and create new space in the body. when leaping into whatever, try your best to not be afraid. be patient and when all else seems to fail, bet on yourself! in the past 3 weeks, i have celebrated the entry into my third decade, started a new position, and reflected on my move to DC exactly 7 years ago. i remember the morning i woke up in my studio apartment in the back bay of boston knowing it was time to leave. i had visited DC a couple of times throughout college and had decided it was the place i would move next despite that i knew nothing more than the fact that DC was considered a second Ethiopia. i cannot express how right that decision was and how much i have grown since moving here. i heard somewhere recently that the gateway to change has three phases: pre-contemplation, contemplation, and finally, change. i realize today that my life is a good life because despite how much i fear change, i tackle it head on. which area of your life requires you to change? for some of us, change is very difficult. it is almost as if we are allergic to it. some of us are "cold turkey" people ... wake up, decide, and move. and the rest of us, well, we take up that grey area ... the area that needs encouragement, guidance, and a bit of hand-holding to get to the next place. no matter which type of person you are, know that your process is perfectly fine, you are perfectly fine, and your life is a good life. i have returned to guiding one studio class per week at fuse in foxhall. fuse is known as a pilates studio until this year where they chose to add a yoga component. i am addicted to building, cultivating, and growing something from scratch and i am excited about building a yoga program that can continue to serve DC and humanity as a whole. practice with me every saturday morning from 10:30-11:45. the flow, called mindful movement, is loosely inspired by my ashtanga practice. it is ethereally slow, alignment focused, and just the perfect thing on a saturday morning. i love hearing from you, receiving your emails, texts, and phone calls and knowing how i and this yoga practice can serve you. sending you love from my heart and wishing you a sweet valentines day! i have come to the realization that as i age, i want my experience on earth school to soften me, not harden me. i want to be fearless in giving myself the kindness, love, and respect i did not receive. and i want to use all that i learn to live my best life. in january 2016, my intention for the year was returning. a conscious past life regression in order to cleanse, heal, and unearth the roots of my patterns. it has been a deeply painful yet rewarding self-exploration journey, one that has left me in awe. and one that will put me on a plane to my birth country, addis ababa, ethiopia, after nearly 10 years tomorrow morning. a lot has changed for me over the course of these last 24 months. in an attempt to align with my highest self, i changed neighborhoods, made tremendous breakthroughs through counseling and yoga, and resigned from my post at Ann Mashburn. as i continue to get closer to my why and shed the layers that no longer serve, i am humbled by the universe asking, are you living your best life? guilt, fear, and shame, were keeping me from daring to live my best life and tuning in to the things that matter most to me. guilt of appearing too selfish. fearful that i am leaving others behind. and shame for not being content with what i have and where i am, and instead wanting more. i realize that what i want is to cultivate relationships (emotional, financial, mental, physical, spiritual) that are rooted in love, reciprocity, and respect. and that actually, there is absolutely nothing wrong with that! i will return from ethiopia on october 23. join me for satsang on sunday, october 29 from 10:30am-12pm focusing on inversions. if you are terrified of getting into headstand, don't let fear stop you. come and be guided intelligently and safely into the world of inversions. coffee, discourse, and pastries to follow. to keep up with my active and busy lifestyle, i teamed up with splendid spoon for meals throughout the week. all of the meals are plant based and free of gluten. the best part is that there is no cooking involved! you can customize your delivery to reflect all three meals of the day or choose what suits you. as a gesture of my gratitude, use this code: NYASPOON20 to receive $20 off your order! i hope that you, too, return and reclaim what is rightfully yours. a life filled with an abundance of creative space, relationships rooted in reciprocity and respect, and a healthy lifestyle that will carry you for years and generations to come. fall is my favorite season. i love when the air turns and i can wear my scarves, sweaters, and boots again. i love the colors changing. i love a hot chocolate in the morning warming me from the inside out. and mostly, i love falling back in love. it has been an intense summer for all of us, each of us changing and transforming in our own way. and with the recent eclipse, i know so much continues to change and shift. it is an amazing time to stay observant and receptive to all the unexpected. fall is a great time to fall back in love with our friends. our self care rituals with meditation and yoga. our trail runs and long walks. falling back in love with baking blueberry muffins when everyone is still asleep inviting them to awaken to the sweet smell of love. throwing in all of the veggies in the fridge into a pan and making a huge frittata, and whatever else fell off our plate for the summer. i know for certain that i am looking forward to hot chocolate dates with friends, trail running in rock creek park, and falling back in love. join me for satsang on september 24 from 10:30-12 focusing on cooling seated postures. coffee, discourse, and pastries to follow. fall back in love with your yoga practice with 20% off a private instruction 5 pack and invite a friend to share the time with you! from the drop down menu, choose 'class pack' and 'fall back in love.' private practice is a great time to customize what you want out of your practice, ask questions, and work on the more challenging postures you have been curious to try all in the comfort and safety of your own home. i am all about falling in love, every day! healing is a topic of life that i am deeply interested in and devoted to. i became conscious of my own healing journey about 18 months ago when i hired a therapist to help me understand my individual traumatic blueprint. it has been an awakening and awe inspiring journey, and while sometimes painful, it has been worth every hour we have spent together. i had always interpreted healing to mean that it was an inside job, but what i have learned is that healing is actually an outside job. the depth of ones healing isn't fully realized until there is an interaction with the universe where one is shown that they are actually learning acceptance, intimacy, safety, and trust. when these states of being are mirrored back to you from the universe, healing is accomplished. i thought it would be a joyous exercise to jot down some of what healing means to me and perhaps this will inspire you to create a fun list for yourself. i am on sabbatical and focusing on each part of what healing means for me. satsang is on july 25 from 10:30a-12pm focusing on balance and standing postures. reserve your space here. coffee, discourse, and pastries to follow! keep a pulse on me this summer through my social media outlets, or shoot me a note. sending you healing in abundance! i fell into a very fascinating conversation regarding time this past weekend. i am one of those folks who is perpetually busy. with the exception of the hours i use for sleep, my days are usually fully scheduled. it had never occurred to me that this was a “problem” because in my mind, i was choosing this way of life. as far back as i can recall, my schedule has always been full. while in conversation, effortlessly, the words “you know why i do this, right? when i was a girl, in order to avoid being abused by my step-father, i scheduled myself for activities after school” flew out of my mouth. it was as if something was speaking through me — a new portal of insight. and here i was, still scheduling myself for activities even though there was no longer anything to hide from. it is amazing what happens when we accept the responsibility of being an aware, conscious, and softened human being. habits long formed are willing to reveal their source and permit the path for reformation. what a gift in this life to work through the anatomy of our being and recreate a harmonious world within ourselves. i have been over scheduling myself for nearly two decades and it is just now that i can clearly see why. what is the source of some of your habits? in honor of slowing down and assessing how i use my temporal currency, i will be taking a teaching sabbatical beginning july 1. you can still practice with me through the monthly satsang in my home and through private instruction. enjoy final days of practice with me at georgetown yoga this month on tuesday june, 13, 20, 27 and thursday june 15, 22, and 29 at 7:45pm. satsang this month is on sunday, june 25 from 10:30am to 12:00pm. reserve your spot here. coffee, discourse, and pastries to follow. so with that, use your temporal currency well. i wish you the best of everything.